first please excuse my bad english, it’s not my mother tongue. 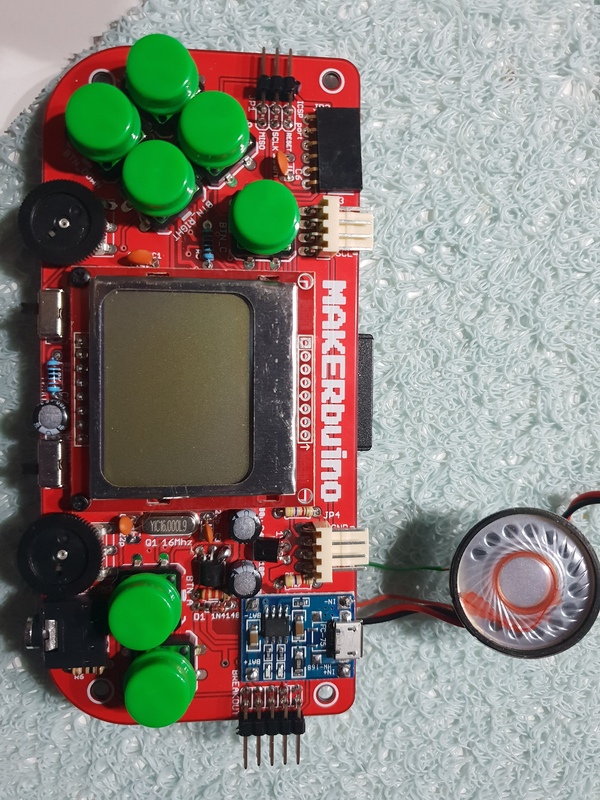 Second, makerbuino it’ s great, my first real soldering and yes I made a mistake, I mixed up the transistor and voltage regulator and damaged them while I tried to desolder them. But thanks for the good design of the PCB I bought them new and soldered them again, this time correct. 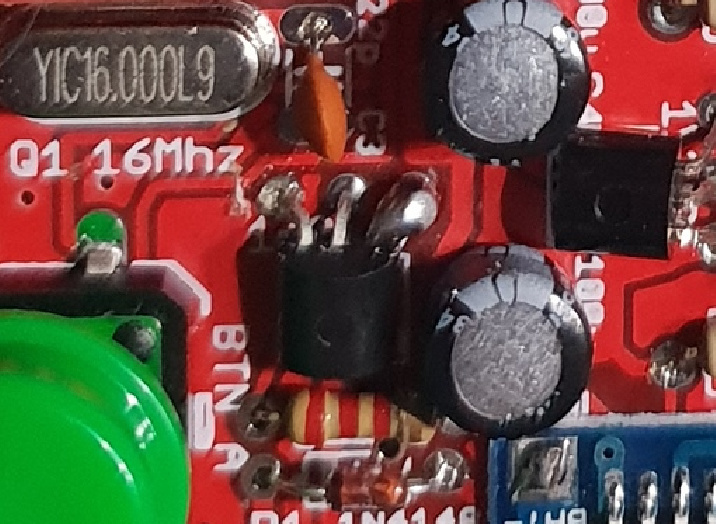 b) I solderd the diode in the wrong direction, can this be if the headphone connector socket is working correct? Can I measure a, b or c? I have a voltmeter. Update: I testet the loudspeaker with a 1,2 Volt Mignon Akku and heard some scratching noises. It seems to work proper. Hello! I just finished my build and I am having the same trouble as you. Everything works great, except that I can’t get sound to come out of my speaker. Also like you, I get sound through the headphone jack just fine. Did you discover your problem? Does anyone else have suggestions on how to troubleshoot this? Everything was actually hooked up just fine. I simply forgot that Switch 2 (the left one) is a mute switch! Once I switched mine on, the speaker worked just fine. Anyhow, I hope that helps some other forgetful person like me. @mfurtak, I’m glad that you’ve managed to solve this issue. @Big_T, I apologize, it seems that I’ve missed your unanswered topic from November, did you manage to fix your sound issue? I’m glad that you’ve solved the issue. I’ll see you around at the forum. Sorry, the problem is still exist. But no worry I think I made a mistake by soldering/unsoldering or something else. 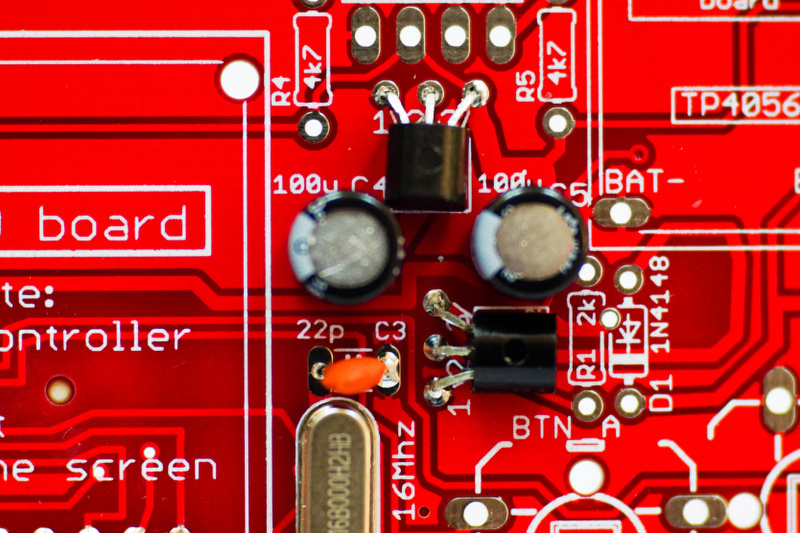 For me it was a fascinating (first soldering) work, and everything worked except the speaker. 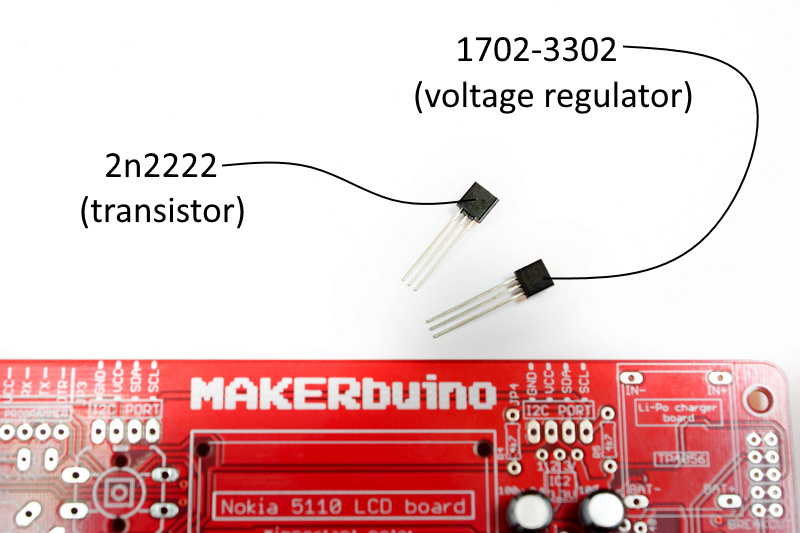 If I have enough time at first I buy a better soldering iron, then a new makerbuino kit. I am sorry that you’re still experiencing problems with your kit. 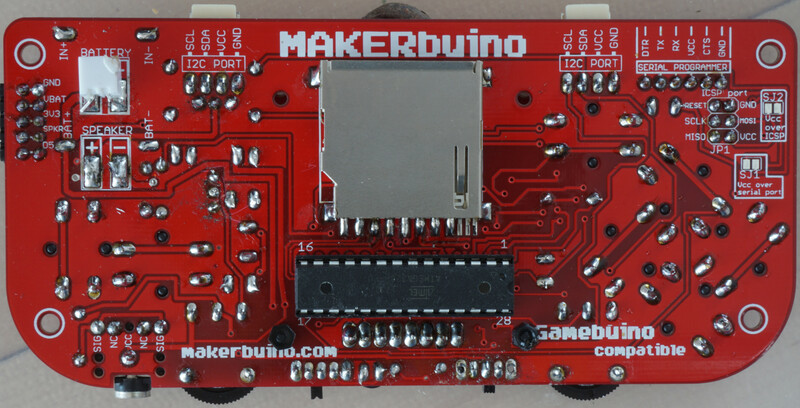 Please, post photos of your MAKERbuino’s front and back side and we’ll help you make the sound work. I made two pictures, I hope they good enoug - sadly now the headphone jack is also out of order. Sorry but I have to make posts. I think that the problem is caused either by the sounds switch or the transistor. I can see that you’ve been resoldering those components and the soldering pads are pretty worn out so that might be causing a contact issue. Are you sure that the new transistor is compatible? yes my blame I swaped the transistor and voltage regulator (Build guide #3, Step 8) and had to desolder them. By this step maybe I damaged the board/soldering pads. In fact I destroyed the original transister and voltage regulator. I ordered the same transistor and voltage regulator by a eletronic shop (two transisotrs and voltage regulators). Because this I have a original transistor, make it sense to desolder the replacment and solder the 2n2222 transistor? Is there a method to measure if the board contacts work? Later my father also desoldered the transistor, and soldered a new one - I hope the right but I’m not sure. Now I tried to solder the transistor and switch (not desolder) better. But nothing changed. 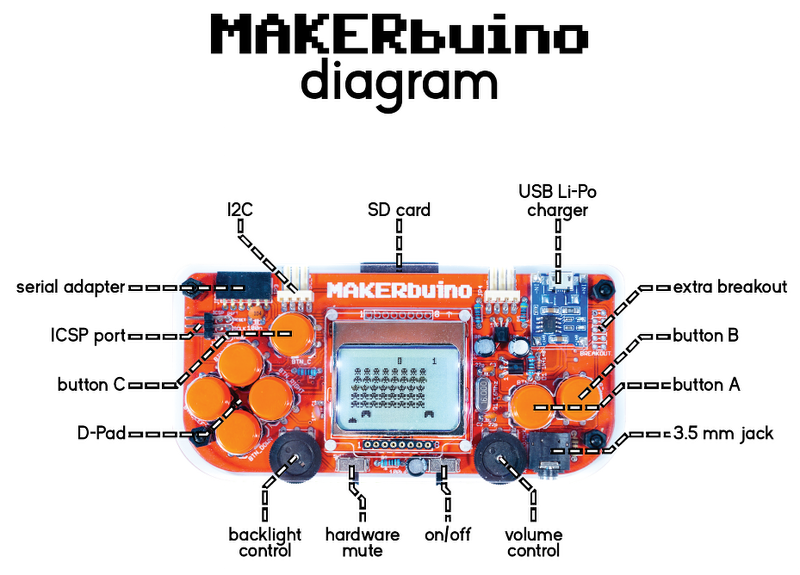 @Big_T, please send us photos of your MAKERbuino. It’s really hard for us to give you any advice without seeing your progress. 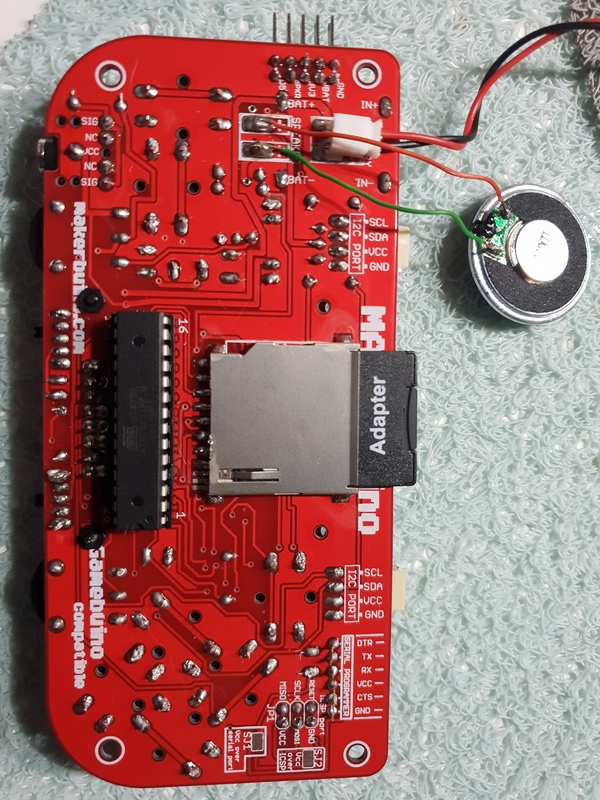 Hello, my son, 13 years old, soldered The makerbuino today. It was his first experience in soldering and he found it fantastic! However, we have a problem with sound. It’s really poor by the speaker and I had problem to hear it… The situation is just a little bit better with headphone jack… I can’t imagine what is the problem… Could you help me, please? This might be best to start a new topic, however I wonder if you had a little difficulty when soldering the transistor? I see quite a big blob of solder on the top side of the board and wonder if the transistor may have blown as a result of being overheated? @kitermen9, can you please verify that you didn’t swap the regulator with the transistor?